You decide to head down to your boat to take advantage of a beautiful Saturday afternoon in late August. You haven’t had a chance to use your boat in about three or four weeks, and you are really looking forward to catching up with your friends at the harbor. You trot down the dock, hop aboard and slide back the hatch. The smell that hits you just about knocks you off the boat and into the water. You look inside and are stunned by the mess. The inside of the boat is a tropical swamp. There is mildew on the liner and cushions, and the smell is a mixture of bilge water, mildew, and musty life jackets. The problem is that the boat has not been open in a long time, and the ventilation system is not well designed nor implemented. You have often thought that you should add some vents, but the problem has never been this bad. Now it is time to figure out how to prevent this mess from happening again. When choosing ventilating equipment, you should consider a number of factors: Where do you keep the boat, at a dock or on a mooring? What the climate is in your area for each of the seasons? Are there some vents that can be replaced or modified to be more efficient? What is the interior volume of the boat? Is there space on the deck for additional vents? And, what are the cosmetic requirements? Once you have analyzed the possibilities, you can make informed decisions. There are basically two kinds of ventilation equipment. Passive means the wind passing over the vent will extract air from the cabin or bilge. Active means some form of power source is used to run a fan to move air through the vent. Either type, or a combination of both, can be used to create an effective ventilation system. 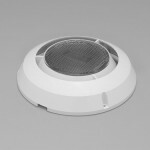 Passive vents include the traditional cowl vents, clamshell vents, louvered hatch boards, and the mushroom type vents. 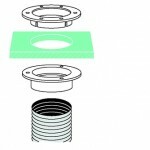 A cowl vent may include a water trap or dorade box. The dorade box is a water trap that was designed by the Sparkman and Stephens design group and first used on a sailing yacht called Dorade. A passive vent works reasonably well on a nice breezy day, but on those hot, still days in August, they do not move much air. 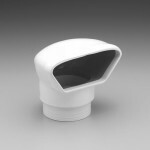 They also work well as intake vents for systems that include active vents. These are usually mushroom type vents, with a powered fan installed inside the vent body. These are usually solar powered, but there are a couple of units available that are powered from the ship’s 12 volt system. There are even units available that offer both solar and 12 volt power sources. Nicro makes a Day and NightTMsolar vent that uses the sun’s energy to run the fan during the day and charge a Nicad battery, which will run the fan at night. 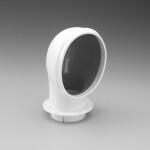 Most of the active vents have interchangeable fan blades that allow them to be used either as exhaust or intake vents. A proper ventilation system will exchange the air within the cabin about once an hour. An average 35′ cruising sailboat will have an interior volume of about 1,200 cubic feet. Two vents with an average 950 cfh (cubic feet per hour) rating should circulate 1,900 cubic feet of air per hour and should renew the air in an average 35′ sailboat every 40 minutes or so. This suggests that a minimum of two vents for exhaust and two vents for intake are required to properly ventilate a boat of this size. Smaller boats will need fewer vents, and larger boats will need more. The vents should be arranged to allow for as much cross flow inside the cabin as possible. If using passive cowl vents, try to mount them in pairs. Align one of the cowls so it is facing forward, and the other facing aft. Then, no matter which way the wind should blow, one vent faces upwind, forcing air in, and one faces downwind, creating a draft and pulling air out. A combination of cowl vents and mushroom vents will provide similar results. 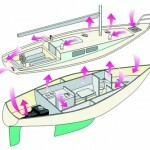 An even better system might include two passive vents in the middle of the boat with a solar powered vent at each end. The powered vents pull air from the interior, and the passive vents allow air to flow in. This creates a very complete circulation inside the boat. In some cases, you could consider using hose cuffs and plumbing bilge vent hose directly into the bilge, which would make sure fresh air traveled all the way into and through the bilge area. Careful thought is required to be sure the optimum locations are chosen for vent locations, and that the best combination of available vents is used. I am currently planning an improvement to the ventilation system on our boat. The boat is a classic sailboat, with dorade boxes on the cabin top, and cowl vents at each end. I am planning to install two of the Nicro 12 volt fan kits into a couple of the traditional looking cowl vents on top of the dorade boxes. 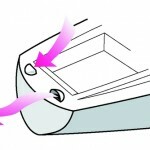 This will retain the traditional look of the boat, but improve the circulation substantially. These little fans only draw about 0.10 amps, so battery drain will be minimal, and will be easily replenished by the onboard battery charger. A modification to this idea might be to mount a solar battery charger and wire it direct to the fan in the dorade box. 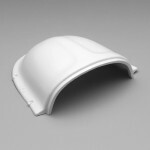 The benefits to a Fiber Reinforced Plastic (FRP), or “fiberglass” boat are many. A good ventilation system will remove moisture from the interior, preventing mold and mildew from forming. A nice dry boat will also prevent the clammy feeling caused by damp clothing and bedding. The boat will smell better because bilge water will evaporate, and engine room smells will be removed. The box of snack crackers will remain fresher longer, and the canned goods in the galley won’t rust. There is less moisture-related damage to the electrical and plumbing systems, and the engine and mechanical systems will not be as likely to rust or corrode. Condensation is a primary source of moisture inside an FRP boat. On my boat, there is a storage locker that is pretty well sealed from the rest of the boat. We keep our cold weather clothes in this locker so that they will be nice and dry when we need them on a cold and windy day. However, each time we needed to use these clothes, they were wet. I looked and looked for the leak that allowed water into the locker. After a couple of seasons of confusion, it finally dawned on me that the moisture in the locker was condensation. We installed a couple of small plastic soffit vents in the locker walls, and no more wet clothes. Another issue that should be considered is that any fiberglass boat afflicted with gel coat blistering or osmotic moisture absorption will benefit. Fresh air moving through a boat will remove moisture from the inside. This is important. There are documented cases of boats that were not kept in the water, but water was left in the bilge, and the resulting high moisture vapor levels (humidity) inside the boat caused blisters to form on the hull. The hull laminate can actually dry from the inside, and conversely, hull moisture content can actually increase from the inside out. We are often asked if coating only the outside of a wood boat with epoxy, effectively sealing it up, will cause the boat to rot from the inside out. My response to that question is always the same. If an uncoated wood boat is not well ventilated, it will rot from the inside out. As a matter of fact, most boats that rot do so from the inside out. There are a lot of wood boats in every major harbor, that you can smell as you walk by. These boats are not coated with epoxy on the outside, but they are definitely rotting from the inside out. So the answer, in a literal sense is yes, an epoxy coated wood boat can rot from the inside. However, the epoxy-coated boat should have a much drier bilge, and therefore be easier to ventilate and keep dry on the inside. This dry, well ventilated boat will be lighter, stiffer, and will last much longer. The epoxy coating will certainly make the task of maintaining and ventilating the boat much easier. But an epoxy coated boat will not have a greater tendency to rot than an uncoated boat. The question of coating the wood boat hull with epoxy is more a question of how well you plan to ventilate it. If you do not intend to insure that the boat will be well ventilated, then do not glue planks together and coat the exterior. However, you can only improve the boat if you intend to keep it ventilated. There is nothing I like better than the smell of a well kept, well ventilated wood boat. But there is nothing I dislike more than the distinct smell of a rotting wood boat. Storage covers should also have vents installed in them. Without proper ventilation, storage covers can do major damage to a boat. Many boats are uncovered in the spring to find mold and mildew growing inside. On a FRP boat, this is a big inconvenience. On a wood boat, this can be the beginning of the end. Once rot begins in a wood boat, it is very difficult to fix. Nicro makes nice little clamshell vents that are designed to mount in either a winter storage cover or in a mooring cover. If the cover does not include vents, be sure to pull the cover out away from the hull so air can circulate around and under the cover. One very important fact to remember is that a boat hull’s purpose is to keep the water on the outside. Ventilating the boat will help keep the wet out and the dry in. 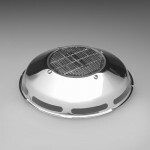 Day & night vent: solar and battery powered with interchangeable intake and exhaust blades. 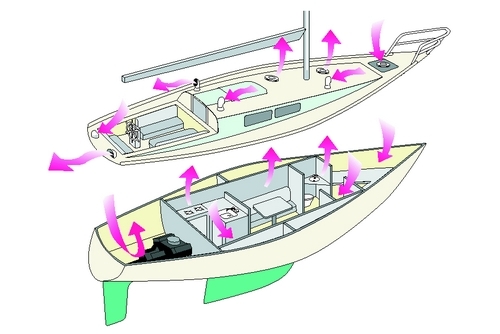 Passive vents rely on wind to circulate air within the boat. They work best in opposing pairs or in conjunction with an active vent. Cabin ventilation: Typicaluses of passive and active vents for compartment ventilation. An active exhaust vent can be used to keep the bilge dry and help extend the life of the boat. This entry was posted in Boat Mods, Boat Repair, Modifying and Customizing and tagged 13, Epoxyworks #13, Joe Parker, marine vents, Spring 1999, ventilation on August 25, 2014 by ewadmin.